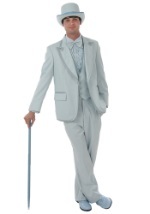 For your next prom, wedding or formal event, forget the traditional black tuxedo! It's time you broke out of your shell and showed off your personal style with our flavorful tuxedos. We feature a rainbow of colors and all the accessories you need to make your look a success!